There’s a lot of academic debate around whether or not company directors really are required by law to avoid tax and pay poverty wages in order to maximise returns to shareholders. But he is more or less correct to say that executives are strongly encouraged/ compelled to prioritise the interests of their shareholders above those of their employees or wider society. This relates to Signor Pessina’s comments on Ed Miliband. As with tax avoidance, his attempt to influence the democratic process is borne out of the intention to achieve the maximum possible returns to the shareholders of the Walgreens Boots Alliance corporation based in Chicago, USA. Possibly, it also reflects his personal financial interest. He would be only human if so. Unfortunately, the interests of US-based corporations and billionaire tax exiles do not necessarily align with those of the UK as a whole. In fact they may well be in direct conflict. Big businesses and their executives could all rake in more money if, for example, they were free to pay lower wages, dodge tax and increase pollution. Of course they’ll say that lower pay, lower tax revenue and more pollution are good for the country – ‘competitive’ is usually the favoured adjective – and that their interventions are motivated purely by altruism. But this is a much more contestable notion than the fact that such conditions tend to facilitate the growth of their own personal fortunes. This is one qualifier that should accompany every utterance made by a major business leader on the subject of the coming general election. The other is to ask whether or not they really know what they’re talking about. Furthermore, fawning over the wisdom of business executives surely feels a bit pre-2007. One of the most important lessons from events such as the financial crisis, the repeated cases of mis-selling and market manipulation in the banking sector, the uproar around tax avoidance at a whole host of different companies, the BP oil spill, the horsemeat-related supply chain problems at various supermarkets, the zero hours contracts controversies, the accounting anomalies at Tesco, the phone-hacking affair, the energy market cartel, or any of the other scandals inflicted on British businesses in recent years is that the integrity of big corporations leaves much to be desired. Their leaders are fallible individuals who are not always in total control of the organisations they run. Some get away with it, some don’t. But the media’s hero-worship of so-called ‘wealth creators’ is misguided. Context, opportunity and the collective efforts, sometimes of thousands of people, are critical to the process of wealth creation, not the god-like genius of a handful of individuals. Of course in a democracy, every interest group is entitled to have its say and its opinions should be heard. But big business should not be elevated to a platform above all others. We should always be conscious of the conflicts of interests; the limited life perspectives; and the extent to which even the most successful individuals owe their prominence to luck, when business leaders lecture us about what is best for the country. In a nutshell, and perhaps also more than a hint at the questionable ‘democratic’ credentials of a ‘free’ press. For many shareholders, their returns have not matched the scale CEO pay has increased. Perhaps CEO’s are to weary that they are relying on pressuring government to give them tax cuts to appease shareholders and make them look good. If I were those shareholders I would call for the CEO’s resignation. No one disagrees, however there is a balancing act, should we be subsiding multi national corporations through tax credits and benefit system for low paid staff, as well as providing subsidies and tax breaks just to make them stay, which is lumbered onto every other tax payer or a reduced service provision for the taxpaying public. Of course. 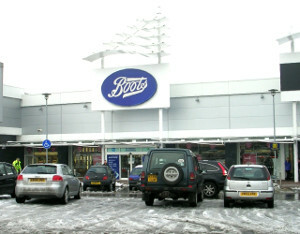 But Boots are corporate deserters who have quit Britain to save on corporation tax, probably about £1 billion to date. We will all pay more tax (or have our services cut) because of it. Which just shows the market isn’t working properly. These greedy corporate bureaucrats are now grossly overpaid – rewarded even when they fail – but still whine about paying too much tax. Well sure – the law is aimed such that they must make profits. Capitalism always breaks the free market, yes. Might not necessarily need a law change just more easily accessible information so we as consumers can decide where we part with our money. We are always told in free markets that the consumer has the power due to choice, however when it comes to asking them to provide more information such as what they pay staff, taxes etc, many are very quick to bury their heads in the sand. What does business shifting from one neoliberal party to another have to do with the article, again? I disagree, a change in the law on this would solve a lot of issues. Again, we have capitalism rather than a free market, and there’s simply not much choice for many people for many things, especially poorer people.